In today’s age of raging obesity, parents are often seen fretting about the weight and height of their tiny ones. Both these factors are used as markers for the general health of a growing baby. Too low birth weight and parents worry themselves to death with the prospect of their tiny tots being sick. On the other hand, a high birth weight makes parents worry that their babies might be prone to obesity. However, there is a wide range of healthy weights and heights when it comes to newborns. As long as your baby is not showing any health problems, there’s probably no cause for concern. Read on as we provide you with a comprehensive height and weight chart for babies and the things that you need to keep in mind while measuring your baby’s weight and height. A baby’s birth weight is the body weight of a baby at the time of its birth. It is often the first query that every parent has upon the birth of their child. A general marker of health, birth weight is closely monitored from the moment your baby is born. Doctors keep a close check on a newborn’s weight, height, head circumference and abdominal circumference. The average weight of a baby born at full term (i.e. between 37 and 41 weeks) is 3.2 kg. An average Indian baby weighs approximately 2.8 kg. At full term, an average baby is 51 cm long and will weigh anywhere between 2.7 to 4 kg. 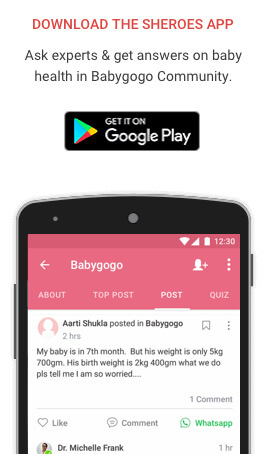 While the average Indian baby weighs anything in between 2500gms (2.5kgs) to 2900gms (2.9kgs) when born at full term, any less than that would be considered as low birth weight, according to the WHO. Irrespective of when the baby is born during pregnancy, a baby weighing less than 2500 gms (2.5kgs) will be termed as a low birth weight baby. In India, about two out of 10 full-term babies, are born with low birth weight. Low birth weight babies need specialised care for the initial few weeks after birth, until they are strong enough to go home. What is the difference between Low Birth Weight Baby and Premature baby? Many times we see parents getting confused about the difference of premature babies from low birth weight babies. Premature babies are usually born before the 37th week of pregnancy. As they have not completed their full term in their mother’s womb, they might need special care. They also usually have a low birth weight compared to a baby born full term. Low birth weight babies, on the other hand, are full-term babies who were born weighing less than 2.5 kgs. What are the causes of Low Birth Weight? Often times, the causes behind your baby’s low birth weight become more important than the actual weight itself. The reason behind it being the implications of these causes on your baby’s health as they grow up. Unlike a single baby, twins and triplets are more likely to be of low birth weight. Twins or even triplets stretch the uterus and compete for nutrients, which puts an extra strain on the mother’s body. Mother’s suffering from high blood pressure affects the blood flow from the placenta to the baby. The impact further results in low birth weight in babies. Studies have shown that mothers who smoke or drink during pregnancy, have witnessed their baby’s growth being restricted. The harmful chemicals that are released enter into your placenta, which results in the reduced supply of oxygen to the baby. This severely inhibits the growth of your baby. Mothers suffering from any kind of placenta-related problems have seen a decline in the growth rate of their babies. Problems such as high blood pressure or placenta previa often lead to preterm babies who have low birth weight. There are times when your baby is not able to grow big due to the restrictions imposed by the uterus, such as fibroids and uterine malfunctions. Cervix abnormalities are often the main cause behind premature births. This happens mostly because of the extra pressure that is put on your cervix as the baby grows in your womb. Cerclage, a stitch on the cervix, is generally put and the mother is advised complete bed rest in many cases. Pregnancy often leads to weight gain, but that is to be expected as your baby gets most of his nutrients from the mother’s body. Nutritional needs of a mother thus become of paramount importance during pregnancy. If a mother has not gained enough weight during pregnancy due to malnutrition or imbalanced diet, it can affect her baby’s weight. Infections and the drugs used to fight infections can impact baby’s weight gain. If a mother has had pre-term deliveries or even low-birth deliveries in the past, it increases the probability of a low birth delivery the second time. 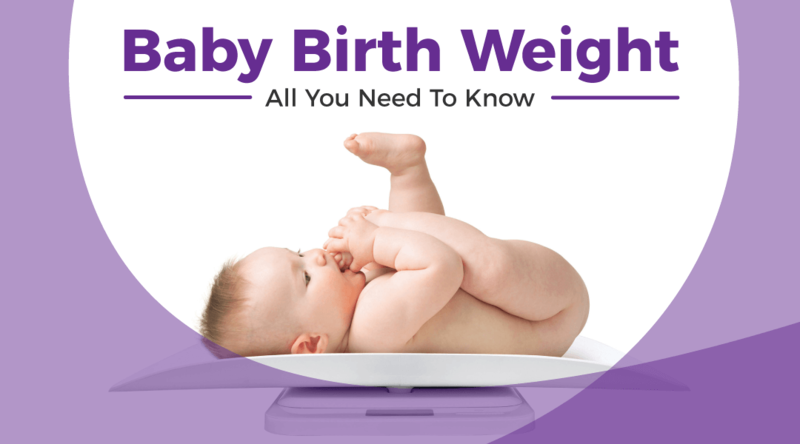 How does Low Birth Weight affect your baby? The effect of low birth weight differs for every baby. The way your baby will be affected depends on what caused the low birth weight in the first place, and whether she was premature when she was born. Most babies who were born at full term and who have a low birth weight have no ongoing problems. Respiratory distress syndrome (RDS) or breathing problems. There is an increased risk of infection in these cases. Premature babies often have problems with feeding and also suffer from low blood sugar (hypoglycaemia). Difficulty in keeping warm. Low birth weight babies have a very little body, which makes it difficult for them to maintain body temperature. Lack of movement also makes it difficult to generate body heat. There have been mixed evidence for claims that babies who have a low birth weight have lower intelligence, go on to do poorly at school, or have health or behavioural problems. It’s very hard to predict how a baby will do in the future just because they suffer from these problems. Some problems completely depend upon how severe your baby’s low birth weight is. Lower birth weight makes the problems more pronounced. The lower the birth weight, and the more premature your baby, the more pronounced the problems tend to be. 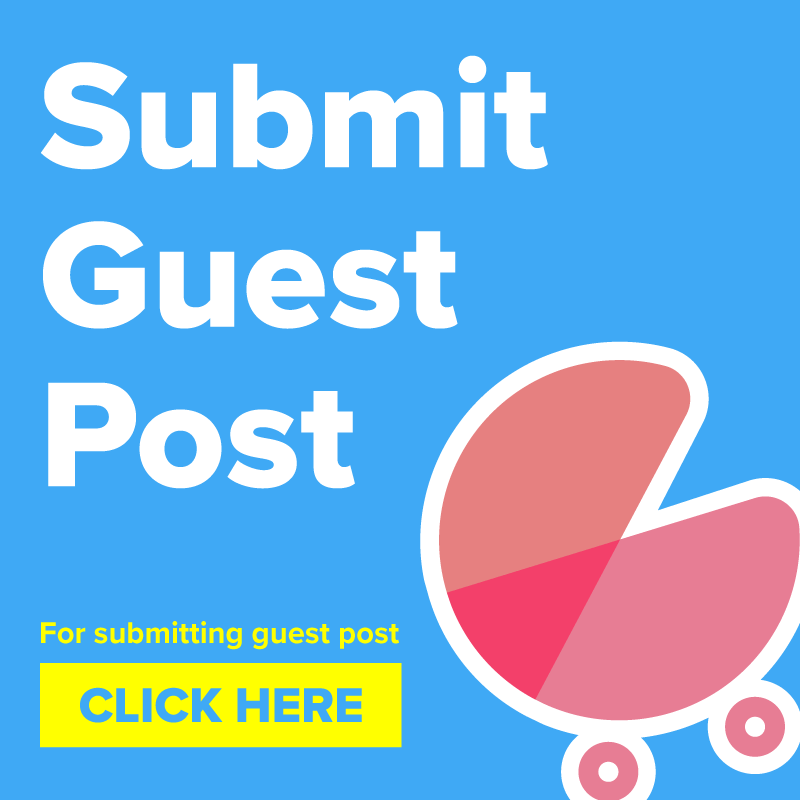 What is the normal rate of weight gain and weight loss for a Newborn Baby? A healthy, full-term baby usually loses between 5 and 10 percent of their birth weight in the first days after birth. Early weight loss happens because babies are born with extra fluid that gets eliminated after birth. This weight loss is considered as normal and should not concern you unless your baby loses more than 10 percent of his birth weight. Weight gain, on the other hand, starts five to seven days after birth. Most babies should be back to their birth weight by about two weeks old. While most follow this trajectory, about 10 percent of healthy newborns regain their birth weight more slowly over several weeks. Many factors go into a baby’s weight gain in those first weeks of life, including how fast your breast milk comes in and how often your baby feeds. What should you do if your baby has Low Birth Weight? Breastfeeding your baby is the best thing you can do to help your baby grow up to be healthy. Make sure that your baby gets all her growth and development checks. As your baby gets older keep a check on her weight, as rapid weight gain early on could lead to problems for her weight and health in adulthood. A nutritious diet is key to help your baby to grow steadily. If your baby has low birth weight it is best to supplement their diet with solid foods after six months of age. The often recommended first food is iron-fortified baby rice cereal. The rice cereal is not only easily digested but is the least likely to cause an allergic reaction. To start off, you could mix a teaspoon of baby rice cereal with four to five teaspoons of breastmilk, formula milk, or boiled, cooled water. While you can use a baby-feeding spoon, experts usually recommend using just your clean finger. Simply dip your fingertip into the cereal mixture and offer it to your baby. It’s not wise to have high expectation from the very beginning, for your baby might not eat very much at a time. Since most of their nutritional needs will be fulfilled through breast milk, don’t worry about your little one not getting enough nutrition. Other foods you can start at six months include fruits, such as pureed bananas, pears and apple, and vegetables, such as carrots, pumpkin and cauliflower. You might also like to try starchy vegetables, such as potatoes, yam and sweet potato. Fluids are equally important for your baby’s diet. You can add fluids like water in which you boil the lentils (Dal ka Pani), coconut water, fruit juice, vegetable juice, vegetable soup/stock and gradually add mashed boiled vegetables over a period of time. Other options are rice gruel, suji upma, suji kheer, sabudaana kheer, dalia, and khichdi. When to seek a Doctor’s advice? In spite of the general check ups, it is always better to seek a doctor’s advice if you notice that your baby isn’t feeding well or suffering from diarrhoea for more than a day. If you are worried about your baby’s weight, it is always better to talk to your doctor about bringing your child regularly for weighing. You could also seek specific advice about getting your baby to eat more. We have created a separate chart for Baby Boys as the growth of Boys and Girls are very much distinct. Thanks for Reading this Article. Do share your comments in the Feedback below.